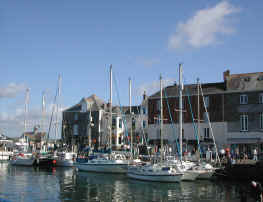 Padstow is a small fishing village and seaside resort situated on the estuary of the River Camel in North Cornwall. 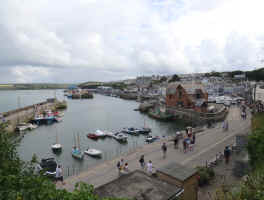 Recently Padstow has become known as the gourmet capital of Cornwall after several high profile restaurants have opened in the town, including an excellent fish and chip shop. 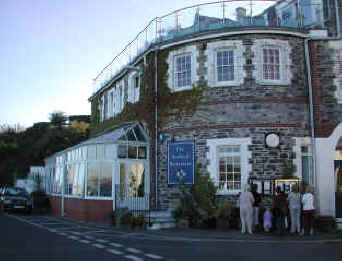 The most well known of these establishments is The Seafood Restaurant which was set up by TV chef Rick Stein a short while ago. Now there are several other well known establishments for the visitor to choose from including a couple more from the eponymous chef. You will need to book well in advance for any of these venues. Do not be downhearted by the prospect of booking in advance, there are several excellent fish and chip shops that serve a variety of fresh, locally caught, fish and you can sit on the quay and enjoy an excellent view as well - no need to book! There are no beaches at the town itself but just outside there are good beaches that are suitable for swimming and other watersports. 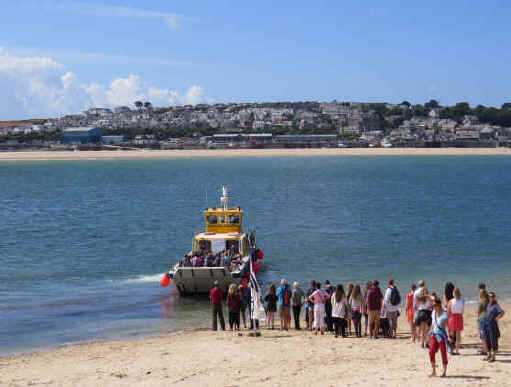 A ferry links to the village of Rock on the other side of the River Camel and there are long sandy beaches along the estuary. 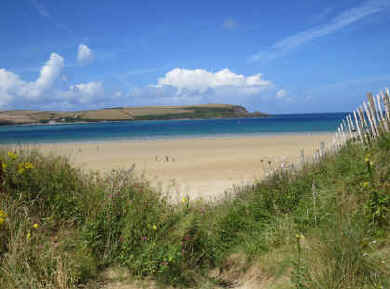 The main beach at Padstow is Tregirls beach, which is flat and sandy and a short walk from town. The estuary itself offers very good moorings for visiting yachts. There are various boat trips that run from the inner harbour including ribs which are fast and thrilling! 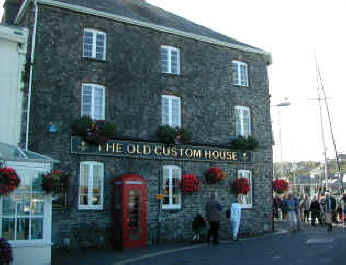 Rock is a small seaside village that lies opposite Padstow on the northern bank of the River Camel. 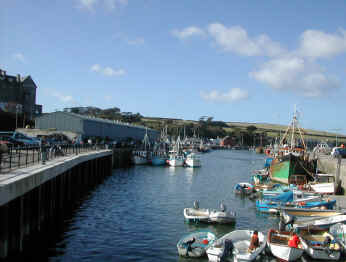 There is adequate parking available and a ferry which crosses to Padstow frequently. There are a few shops but not many beach facilities; however further along from Rock there is a large car park and access to excellent long, sandy beaches which are National Trust properties and here you will find toilets, cafes and beach shops. 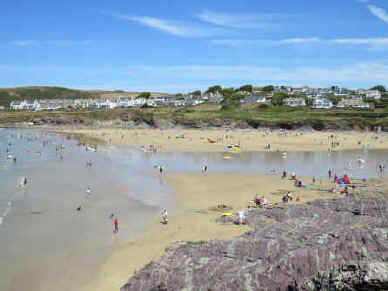 A couple of miles further on lies the village of Polzeath which has a wide sandy beach and a full range of facilities. It is possible to walk along the coast to Pentire Point which offers great views along the north Cornwall coast. Rib rides - there are several rib boats offering high speed rides operating from the harbour. Get afloat! - Boat trips around the estuary or try sailing. Crabbing - from the quay! Constantine Bay - Award winning beach with facilities - popular surfing spot but care is needed due to rocks and currents - experienced surfers only! Rock - the small village of Rock lies across the estuary - the trendy destination for visiting yahoos! Also known as Kensington in Cornwall! There is a ferry crossing carrying foot passengers.